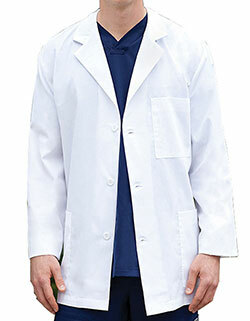 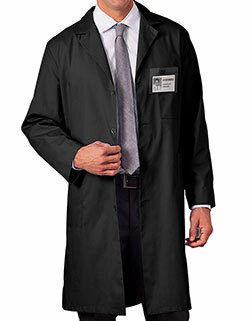 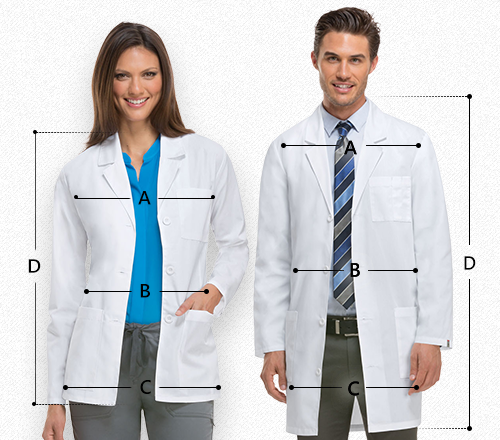 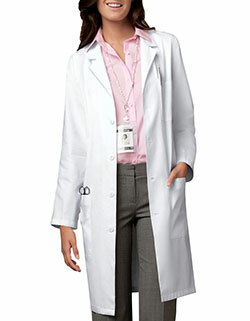 Get utmost coverage with White Swan 37-inch long lab coat. 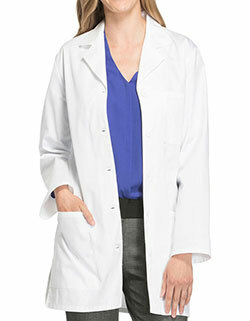 Featuring a notched lapel collar and four buttons for closure, it’s a women lab coat has sewn-down back belt, get the fitting you’ve been looking for. 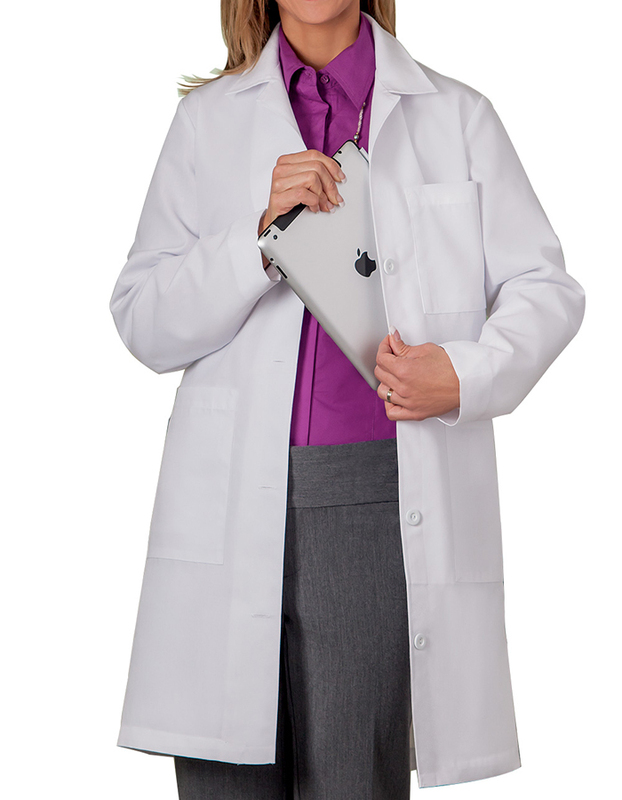 With two roomy lower patch pockets outside, one chest pocket with pen holders and two inside pockets, storage is extremely secure and convenient.